When friends call and say “let’s eat Pho” I am sliding out the door to meet them. 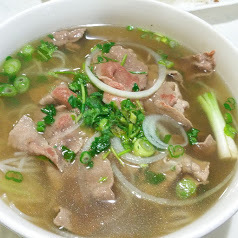 It matters not that it was 98` outside, Pho has no seasons in my life. 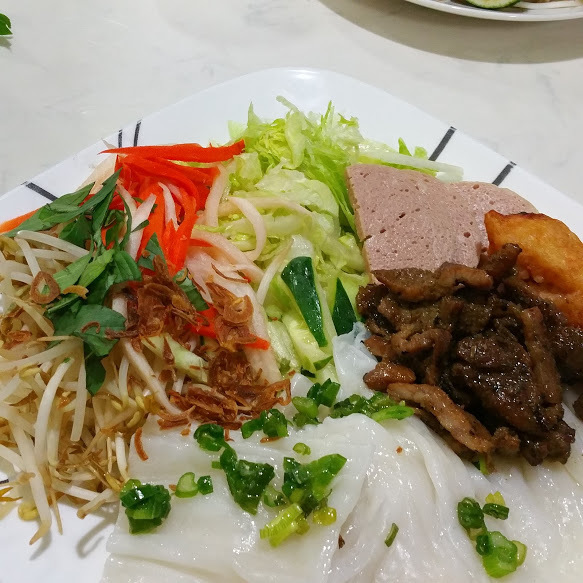 My favorite spot in Jacksonville, is Pho Today. 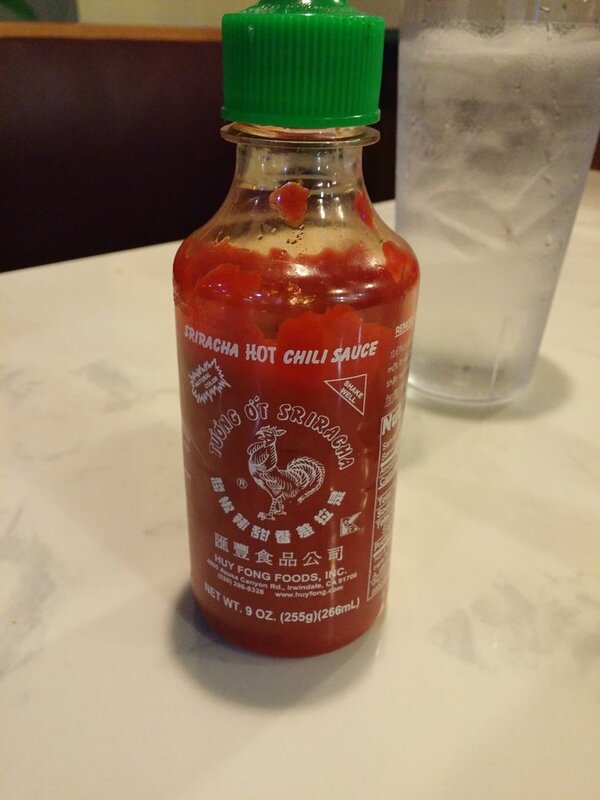 It is on a par with any of the Pho I sampled in San Fran, California, or NYC and the best I have sampled in this town. This spot is housed in one of the many strip malls that populate this area of town. The good news, it’s a new development so it’s relatively upscale. The interior is always clean and well-tended any time I have eaten there. There is a high Asian clientele which is always a good sign for me. Sunday the place is normally packed with families from the youngest member to the oldest. As well as lunch and dinner, breakfast items are offered at the opening time of 11:00. 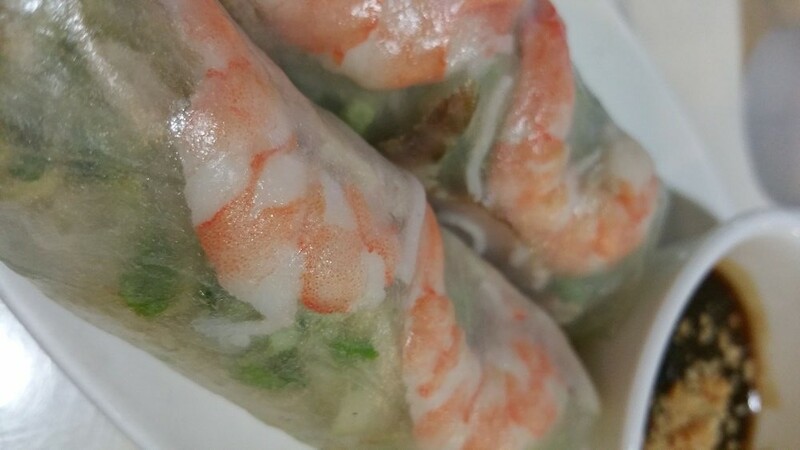 Let’s get to the food, We started out with a simple but tasty Shrimp Spring roll, Fried Shrimp, and the Vietnamese Pancakes. I had to giggle when I ordered these the waitress asked me if I knew what I was ordering. I assured her I did and it was safe to give them to me. 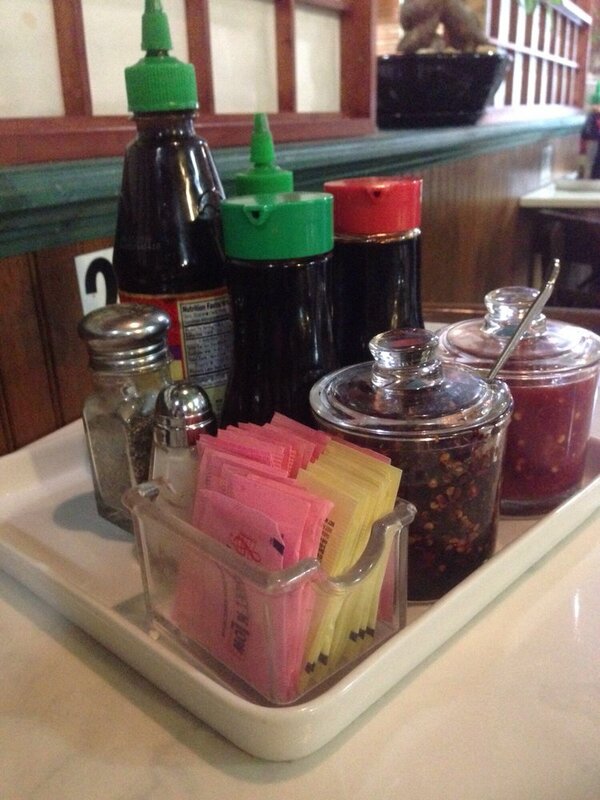 Condiments are readily available on the table to add this heat/spice as needed. These rolls are always fresh and packed full of crispy lettuce and cilantro. The shrimp is firm and large. The peanut dipping sauce has a nice bite on the tongue. 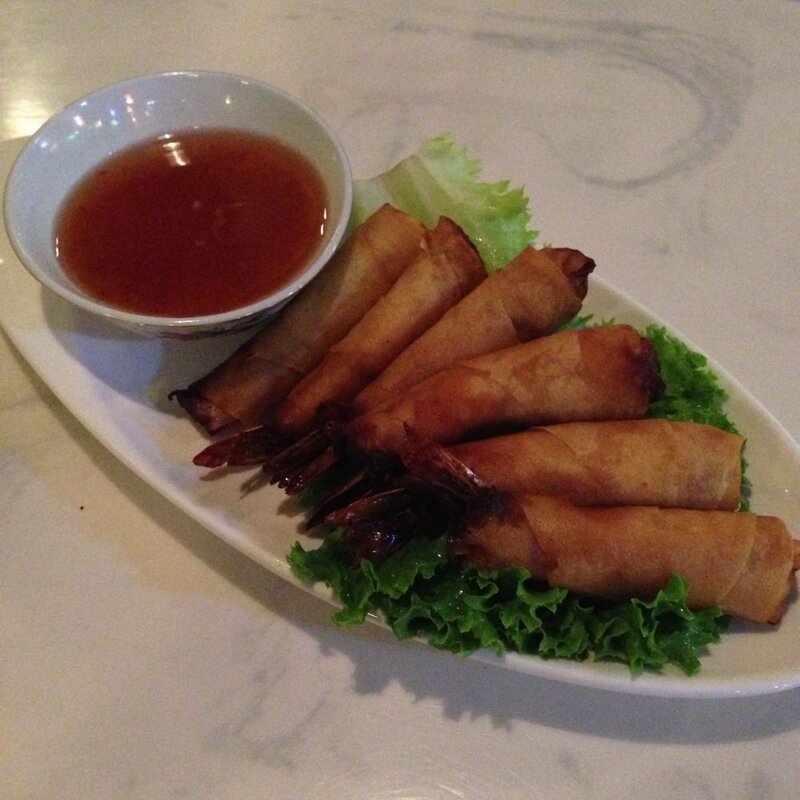 A large portion of shrimp accompanied by a spicy chili dipping sauce. A tad over cooked but still tasty. It did not keep me from eating them. Those little white shiny items at the bottom of the pic are the pancakes. Think the consistency of a cooked lasagna noodle but a tad more slippery. I put mine on the plate open it up stuff it with the veggies, and some of the meat filling and cover it with some hoisin or chili paste, fold it up and eat it with my hands, like a slippery taco. I was not eager to share this dish. 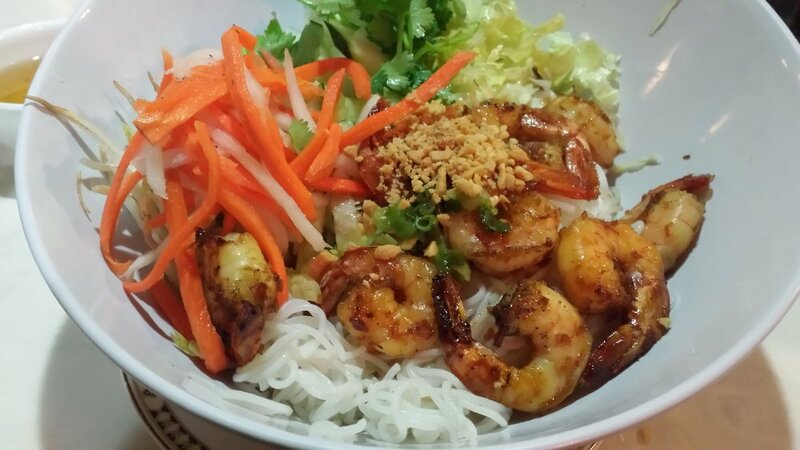 Two of us had the Raw Beef Pho and our third musketeer the Bun (rice vermicelli) with Shrimp. The portions of soup are huge,( sm med or ex lg.) If you and yours are indulging in appetizers, think about sizing down, or take the soup home for another meal. I have been known to order the large soup for that reason. 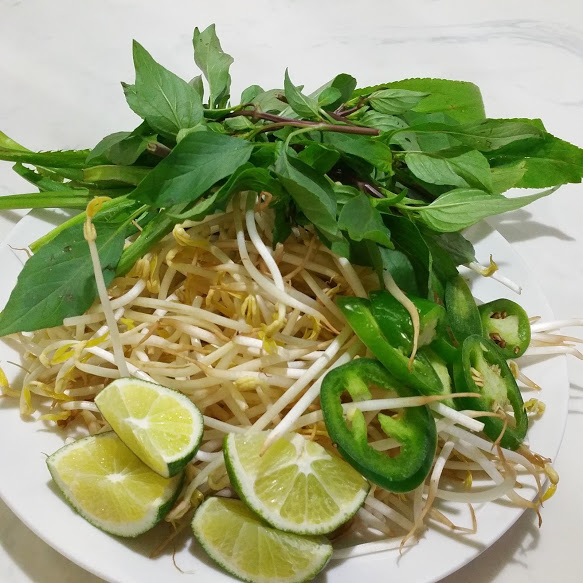 Pho is usually served with coriander leaves, ngo gai, mint, basil, lime, bean sprouts, and jalapeno chili peppers. The one that taste like cilantro is probably ngo gai, also known as Wild coriander. I have never received anything but the freshest of greens, and the pic here shows that. This is a most wonderful dish, and if for any reason you have not tried this yet, trust me it’s time. I wanted to learn how to make this at home, the process is so complex and time consuming, I thought I can just come here and get my fix any time I need to. 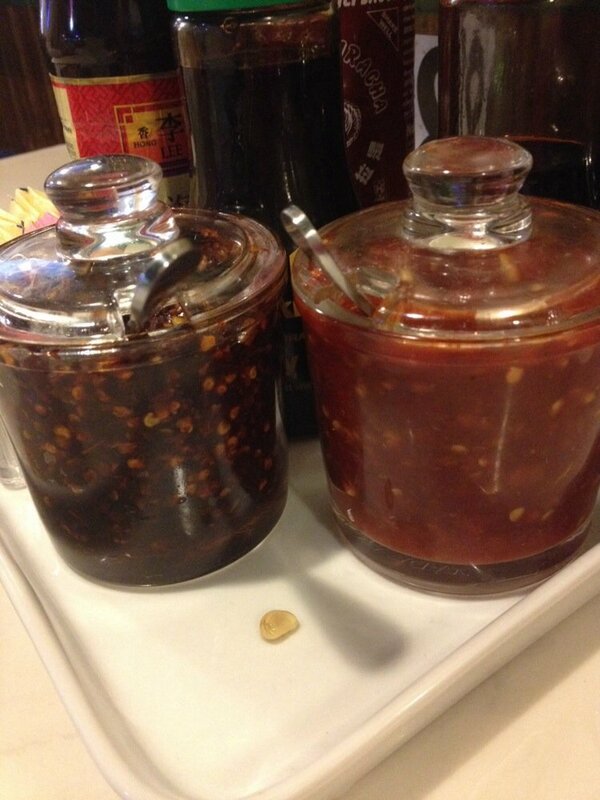 It’s not like you can just make a cup or two of this dish. Again I pile it full with the green stuff, some more jalapeno and a shot or two of hot chili or hoisin sauce, but not until I taste it first. After I eat all the noodles, I just drink the broth from the bowl. Classy! Again, Bun with Shrimp a most tasty, well presented, veggies are crisp and tasty, shrimp firm and not over cooked. I did not indulge myself with this dish, but the others declared it a most worthy dish. All in all, I have to rate this restaurant a 5 on the star scale. 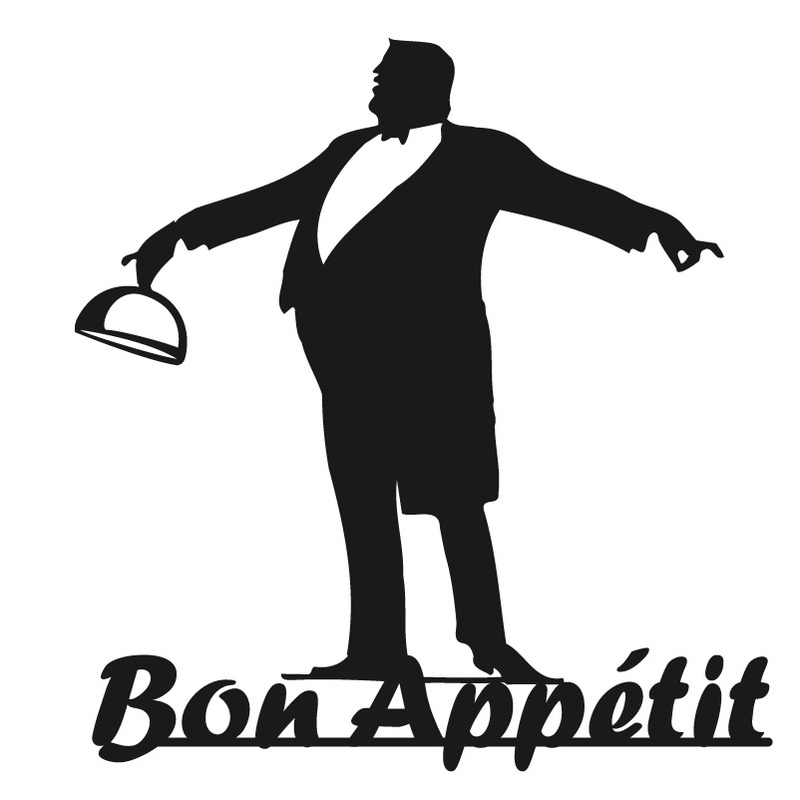 Staff is friendly, and willing to tell you anything you do not know or understand about the food. Prices are $ to $$ for some great dishes. So drive out, catch a movie, right in the same mall, and come have a meal. If your disappointed let me know, and if you enjoy it let me know that as well.